The present canvas entered the Thyssen-Bornemisza collection in 1930 and was included in the exhibition held at the Neue Pinakothek in Munich that year. 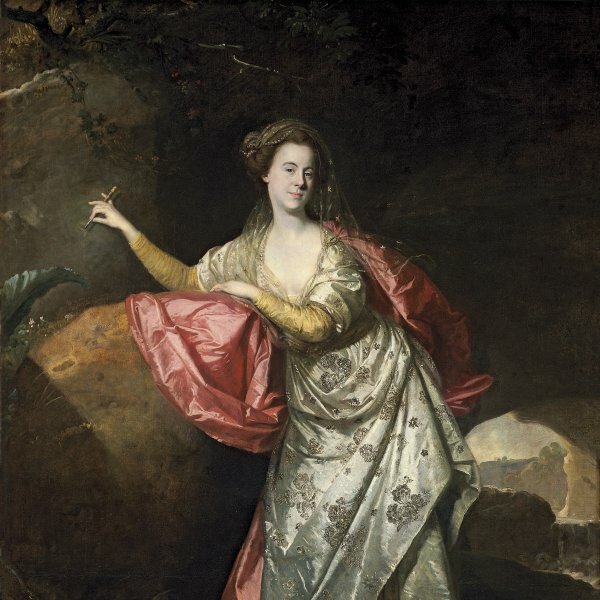 In the catalogue of that exhibition the canvas is described as an original work by Reynolds, but only basic details of its size, technique and support are provided, without any reference to its earlier history. The 1937 catalogue of the Collection by Rudolf Heinemann repeats the information found in the 1930 publication. The canvas is a copy of a Self-portrait of the artist in the British Royal Collection, which was a popular image to judge from the number of versions, copies and miniatures that have survived. Malone noted that it was a faithful lifelikeness of Reynolds in his final years. The present canvas is closely based on the original in the Royal Collection, including the position of the body, the face turned frontally with the round glasses, and the powdered hair or wig. Reynolds wears a dark coat with a high collar and a brightly illuminated white shirt collar. The original differs in presenting the artist almost half-length with his left arm stretched out and separated from the body. In this respect the present painting is closer to the Self-portrait of the artist in the Dulwich Picture Gallery in London, in which the arm is close to the body. 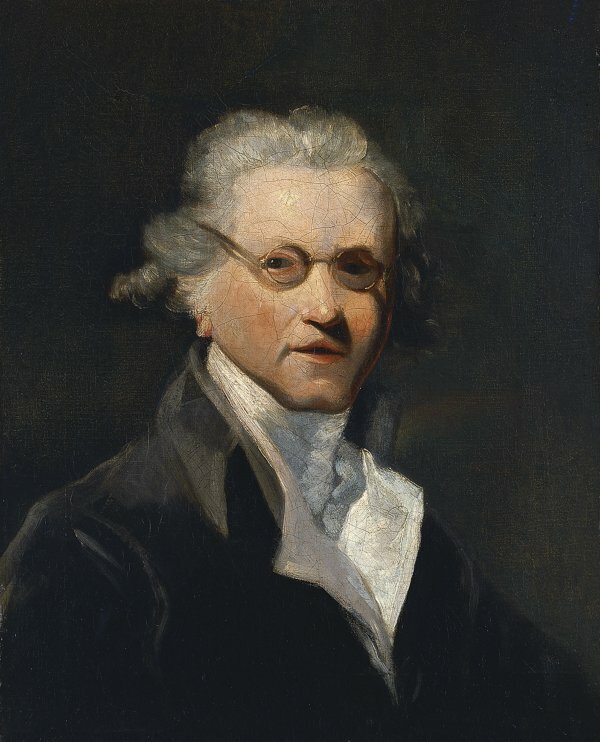 The physical appearance of Reynolds is different in the present work to the painting in the Royal Collection: here his forehead is higher, his cheeks flatter and his nose long, straight and narrow rather than rounded with a bulbous lower part as seen in other self-portraits. In a way typical of British art of this date, the figure emerges from the dark ground with the face brightly illuminated. However, in the two original canvases mentioned above the light is more subtly applied than in the present work and here the contrasts between the light and shade on the left cheek are rather abruptly realised. The present painting also has a very dark shadow that covers the left lens of the glasses and falls down the left side of the face in a somewhat harsh manner. Reynolds painted himself on a number of occasions throughout his life. His first self-portraits date from his early years, such as the one in a UK private collection dated to around 1746. The Selfportrait in the British Royal Collection has been dated around 1788 and is the only one in which the artist depicts himself wearing glasses.